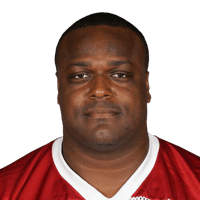 Published: Dec. 27, 2015 at 08:29 p.m.
Packers Aaron Rodgers fumbles, recovered by Cardinals Cory Redding who takes it in for the touchdown. Published: Nov. 1, 2015 at 04:03 p.m. Published: Oct. 11, 2015 at 04:58 p.m.
Cory Redding denies Matthew Stafford on a screen play as he makes a nice interception.